Kammarton Bulgaria offers a professional audit for your compressed air systems. This is an effective way to identify your current energy use and to assess your compressed air needs, to check regularly for air leaks in your maintenance routines. Our specialists carry out an investigation, by specialized devices for data collection. The airINSITE data loggers incorporate high quality sensors to collect and store information relating to a system’s pressure, temperature, pressure dew point and flow rate. 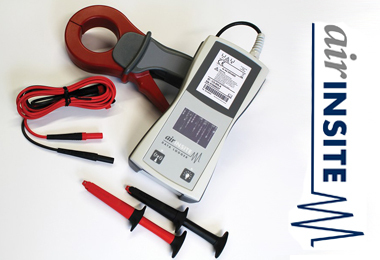 The current and voltage loggers enable true power to be accurately measured, with power costs calculated using these figures. The latest software technology allows to analyse, chart, graph and prepare professional audit reports. Simulation wizards allow our specialists to show you cost savings by simulating the use of different compressor configurations, of both fixed and variable, against your existing compressor volume. On this basis, they demonstrate the predicted positive effect and make recommendations and suggestions for system performance optimisation. The benefit of our audit is durable, with a reduced environmental impact and actual savings of money and energy resources.